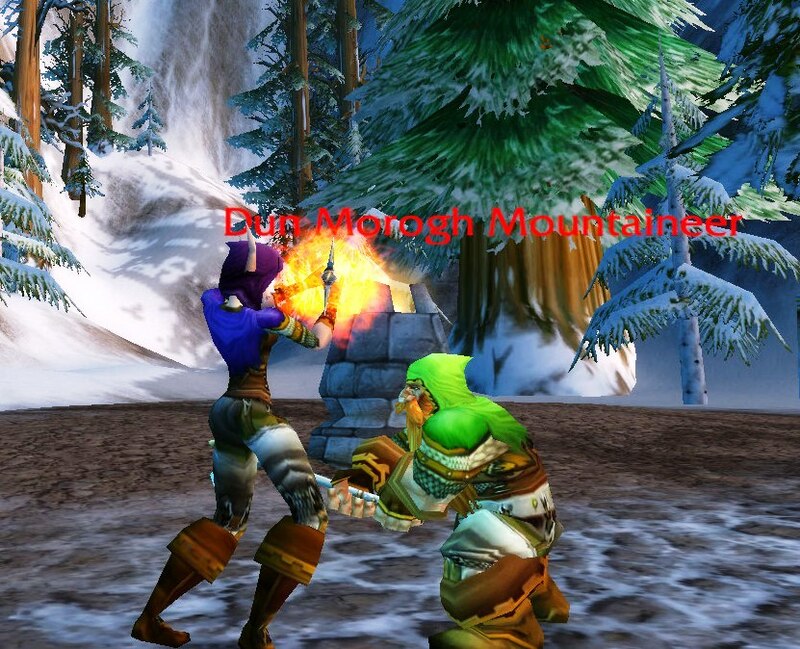 Wandering around Dun Morogh and Loc Modan are the many Mountaineers of Ironforge. While their outfits may look simple, some of the articles of armor can be tricky to get. Miscellaneous weapons: swords/shields, axes, maces…you name it! Whatever you want/easiest for your character’s outfit. 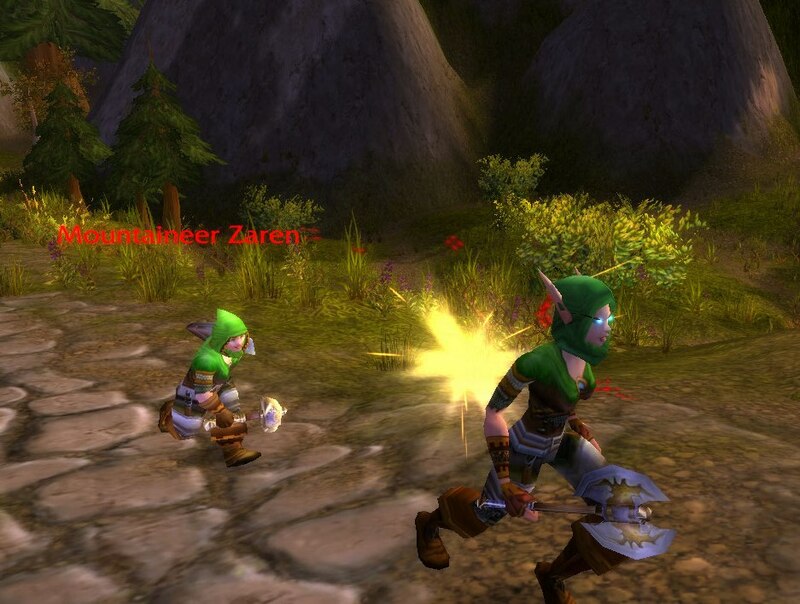 The main piece, the Fungus Shroud Armor, is obtained from an elite mob in Maraudan – Meshlok the Harvester. It took me about 10 runs to get it for Merlaina. Another alternative can be the Outland’s quest reward, the Lifewarden’s Breastplate. The Raptorhide Legguards is a neutral quest reward in Dustwallow Marsh. The Raptorhide Legguards have since had there model skin changed to something totally not Mountaineer (why would you think this was a good idea, Blizzard?? T-T ). I’ve listed other leg alternatives in this article, but one that I did not mention is the Marauder’s Leggings – they have the same leg-plate style without the green accents underneath. 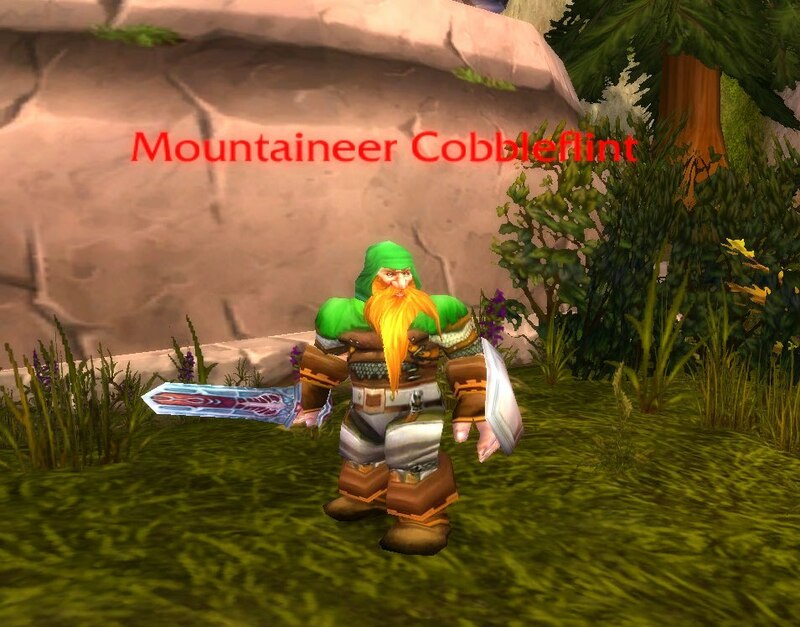 Some other mountaineers, like the Dun Morogh Mountaineers, have a gold trimming around the face of the hood. This look can be found in helms like the Eldr’naan Hood. 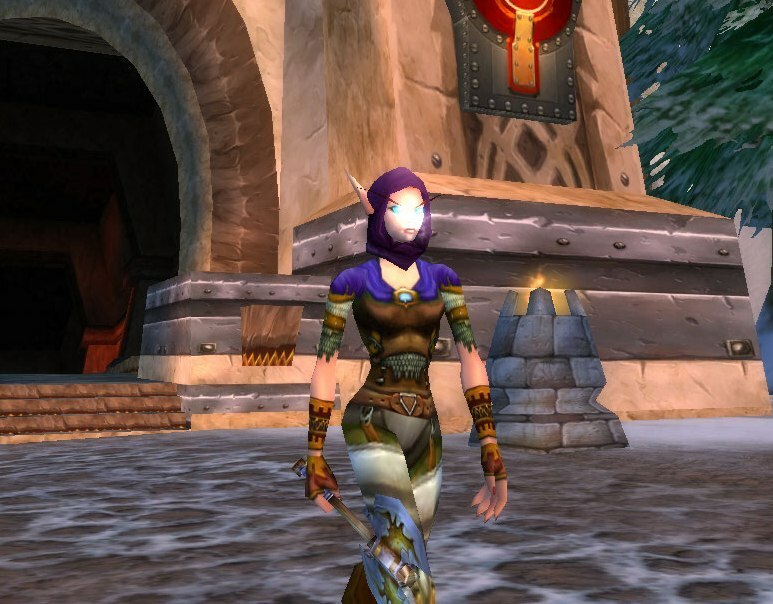 The Emissary Cuffs can be substituted for bracers like the Gossamer Bracers (they look a little bit different, but, whatever); the Gossamer Gloves can be substituted for the Riding Gloves (Alliance quest reward). Anyway, I changed the belt from the Nigh Invulnerability Belt, which requires engineering skill to wear, to the Augmented Chain Belt. It is not an exact match (I could not find one), but, I feel it still goes with the essence of the guard outfit. The Starsight Tunic is one other chest-piece that shares the same style as the Fungus Shroud Armor, only in purple. 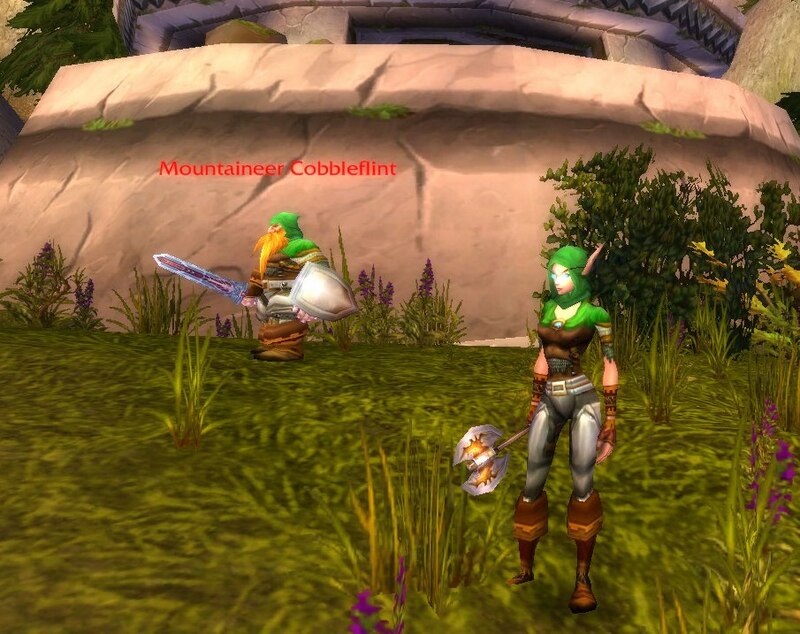 Cataclysm brought some changes to these mountaineers – now with capes! Matching mountaineer capes can be: Gaea’s Embrace, the Ivycloth Cloak, or the Muck-Covered Drape. I hope this article helps you. Good luck on your Ironforge Mountaineer outfit!